Nan Hampton has answered a previous Mr. Smarty Plants question on selecting grass seed for Central Texas. If you are considering seeding, here's her question and response ... What is the best drought tolerant grass for Central Texas that can be used as a low height lawn? I remember seeing a news account (Austin TV) about some UT research at the Wildflower Center that developed a new heat/drought tolerant grass mix. 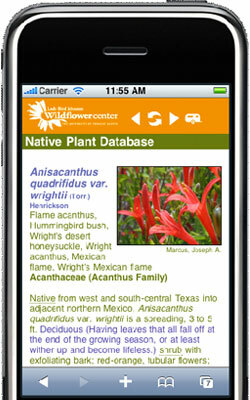 Answer: You are, indeed, right that the Wildflower Center is doing ongoing research on native lawns. You can read about it in our article, Native Lawns and you can see the research plots if you visit the Wildflower Center. One of our Associates Suppliers, Native American Seed in Junction, has a 2:1 mix of Bouteloua dactyloides (buffalograss) to Bouteloua gracilis (blue grama) called Native Sun Turfgrass. They also have the other major short turf grass used in the research, Hilaria belangeri (curly mesquite). 2. Native Lawns: Buffalograss gives recommendations and tips for establishing a native lawn with only buffalograss. Additionally, there is a lot of information about using ecological native species for drought conditions, called Habitaturf on the www.wildflower.org website. Spring is the best sowing time once soil temperatures warm up (day time temperatures constantly above 85°F). If you would like to use non-native sod for your new lawn, Texas A&M has a turfgrass information sheet for Texas that will help with the selection.